A once in a lifetime opportunity is given to a local mom and daughter from Braintree. Bilyana Munic, 50, and her daughter Hannah, 13, were given the opportunity to meet royalty. 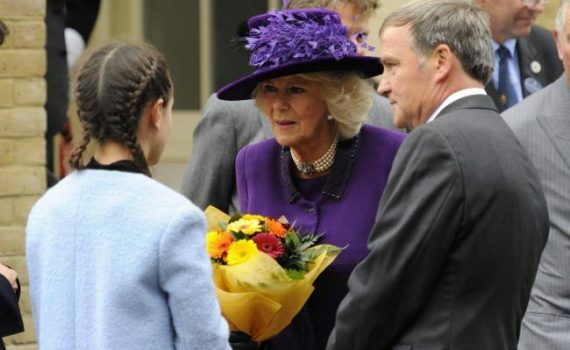 They were invited to meet the Queen, Prince Charles and hand Camilla, Duchess of Cornwall, a bouquet made from their town. Mrs. Munic and her daughter were given the chance to attend the official unveiling of a statue of the Queen Mother at Poundberry in Dorset. The local mom and daughter met the Prince of Wales. The Prince was the one who helped design the development town. They were also able to meet the Duke of Edinburgh. Her daughter, Hannah, attends Anglo European School in Ingatestone. She got the chance to talk with the Duchess and present her with a bouquet made in Bernard Chapman florists in Bank Street, Braintree. Mrs Munic said: “Hannah absolutely loved it, and she was pretty cool with the situation – I have to give her credit. “I felt nervous because it is a once in a lifetime opportunity. “We were able to walk and talk to the members of the royal family. Work on the Poundbury development, similar to the “garden communities” being proposed for Essex, was started in 1993 with around 3,000 people now living thereat the site. Architects Quinlan and Francis Terry have even managed to echo recreate some of the UK’s most iconic buildings in smaller form on land that is owned by the Duchy of Cornwall – the new hotel is based on the Ritz, a favourite haunt of the Queen Mother and one building, Strathmore House, looks similar to Buckingham Palace. Mrs Munic said: “I am a solicitor with Tees Law and I moved to Braintree with my family 10 years ago. “When I moved my clients decided to stay with me and I have been providing advice to them in regards to this development and so I got invited by the Duchy of Cornwall.